There are some simple steps you can take to keep your skin healthy: hydrate, exfoliate, moisturize and eat healthy foods. Hydrating is more than drinking water. Use humidifiers throughout your house. Impede dehydration by avoiding space heaters, limiting coffee and alcohol, and soaking in lukewarm oatmeal baths rather than hot water. When outdoors, wear gloves with cotton lining, use lip balm, and apply sun-block. Exfoliate weekly to rid of dead skin. Brush your skin using a loofah, exfoliating gloves or a body exfoliating brush, starting at your feet. Next, wet your entire body. Gently scrub your skin in circular motions with exfoliating cleanser containing grainy ingredients such as oatmeal, ground almonds or sea salt. Don’t scrub under your eyes where the skin is easily damaged. Use a pumice stone on rough spots such as heels. 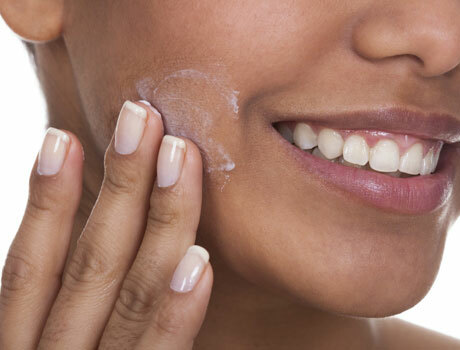 Be sure to moisturize your skin after exfoliating, or you may do more harm than good. Eat fruits, vegetables and whole grains which contain vitamins A, B-complex, C and E, necessary for healthy skin. Nuts, olive oil and oily fish provide omega-3 fatty acids keep skin supple. Sugar, soft drinks, red meat, milk products and processed food enhance and increase wrinkles. Visit a dermatologist for an individual skin-care plan. Proper skin care today will help ensure a healthier future.